The most important thing you can do when facing criminal charges is to “shut your mouth” about what happened. 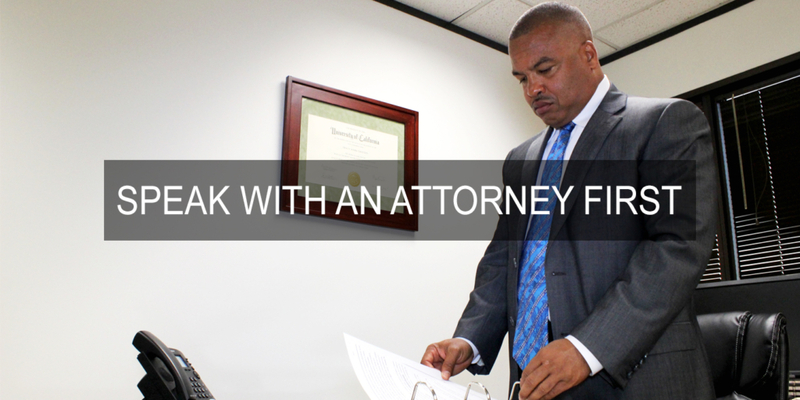 NEVER discuss your case with anyone except your attorney of record and his or her investigator and/or expert(s). Police officers, sheriff’s deputies, and investigators working for the prosecutor, the district attorney (DA), the ATF, the FBI, or any other government agency want you to talk to them for one reason only: so you will incriminate yourself and they can put you in jail or prison. If you are being stopped, detained or arrested, and the police or other government investigators begin asking you questions, assert your Fifth and Sixth Amendment rights by simply stating, “I want to talk to a lawyer.” Do not answer any of the officer’s or investigator’s questions; don’t even say hello. Recently, I spoke to a Sheriff’s deputy who told me an interesting story related to this issue. “We went to arrest this guy,” he told me, “and when we got to his house he wouldn’t say anything at all. Nothing. We thought at first maybe the guy was deaf or crazy or something, but he wasn’t. He just flat-out refused to answer any questions or to respond in any way at all. And I thought that was one of the smartest things I’ve ever seen a suspect do.” It’s extremely smart because there is no way that his mere silence could be used against him. But who would do that? When someone is talking to you, your natural inclination is to respond so as not to appear rude or disrespectful, especially when talking to someone holding a position of authority like a police officer. Saying nothing at all is a good way to handle the situation where law enforcement is trying to get you to incriminate yourself. Still, the simple statement, “I want to talk to a lawyer” is probably the best and only response you should give because once you say these magic words, the police and other government investigators are not supposed to question you any further. If they do, your statement could be suppressed, in other words, it cannot be used against you in court. At trial, the jurors would never hear about it. Aside from invoking your right to counsel and your right to remain silent, you must be certain to never discuss what happened even when you are not around law enforcement. You must not discuss your case in any way while you are on the jail pay-phones. You may find this difficult to do because your spouse, family and friends will all want to know what happened during the alleged incident and what’s going on with your case, especially if they paid for your lawyer. However, you must resist this temptation because jail phone calls are recorded. In fact, voices are recorded quite clearly, even when you whisper. Do not try to be clever. Do not try to speak in code or street slang or “pig Latin” to hide what you are saying. Cops know what you are saying. You may be smart or “have game” on the street or in whatever setting you think is a place where you shine, but police know how to manipulate suspects, whether truly innocent or not. If you say something incriminating, the police will police will find out, even if they have to listen to hundreds or even thousands of hours of your phone conversations. These recorded phone calls will be turned over to the prosecutor and the evidence will be used against you in front of a jury (they will read a transcript of the most damaging parts of your phone calls as they listen to them being played in court). Likewise, do not talk about your case when people are visiting you at county and local jails. The phones used during no-contact visits record your conversations as well. Remember, when the police and other government investigators want to talk to you, you should have just one thing to say to them: “I want to talk to a lawyer.” Otherwise, shut your mouth!